Criminology professor Marlee McCabe is thrust into a criminal investigation when a janitor is murdered at Midwestern State University. Marlee's sleuthing leads her to the Lake Traverse Indian Reservation and into the dangerous underworld of trafficking Native American artifacts and sacred cultural items. Those involved are not afraid to use threats, violence, and even murder to keep their secrets buried. What will they do to keep Marlee from exposing the truth? 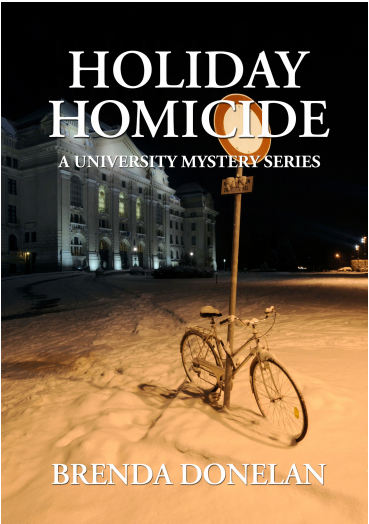 To purchase Holiday Homicide, please click on the button below. You will be linked directly to Amazon where you may purchase either book as an ebook or as a paperback.